The CIA instructed a high-level Iraqi official to forge a letter linking Mohammaed Atta, the leader of the September 11 Al-Qaeda terrorist attacks, with Iraq. That's the bold claim made in a new book by Pulitzer Prize-winning journalist Ron Suskind. The Washington-based journalist alleges that forged documents were ordered by the Bush administration to link Iraq with Al-Qaeda and give it a pretext for invasion. Suskind claims that Washington decision-makers were aware that there were no weapons of mass destruction in Iraq and fabricated ties between Saddam Hussein and Osama bin Laden's terrorist organisation. CIA and White House officials cited as sources in the book have since denied the allegations. Former CIA Director George Tenet, whom the book implicates in the scandal, also disputed the claims. “There was no such order from the White House to me nor, to the best of my knowledge, was anyone from the CIA ever involved in any such effort,” Tenet said in a statement distributed by the White House. 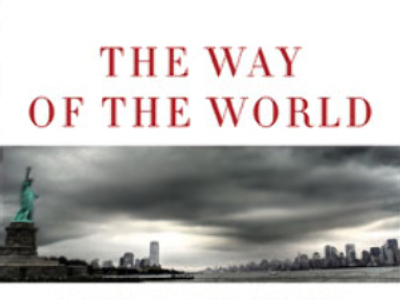 The controversy over the book, “The Way of the World: A Story of Truth and Hope in an Age of Extremism”, is expected to rapidly push it into the best-seller list in Washington DC. Its publishers expect to have half a million copies ready for its release on Tuesday.